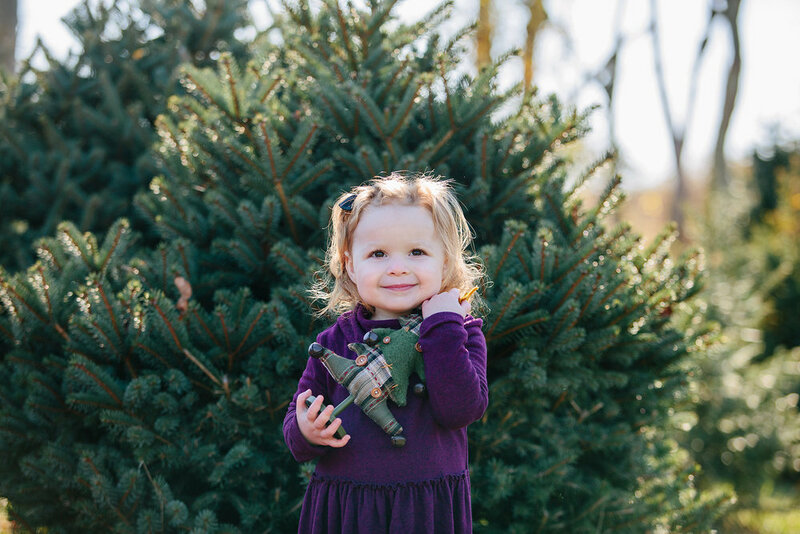 A few weeks ago, I started off the Christmas photo season off! Personally, I don't decorate or celebrate Christmas until after Thanksgiving, but photos I always start offering early! Why? For many reasons! 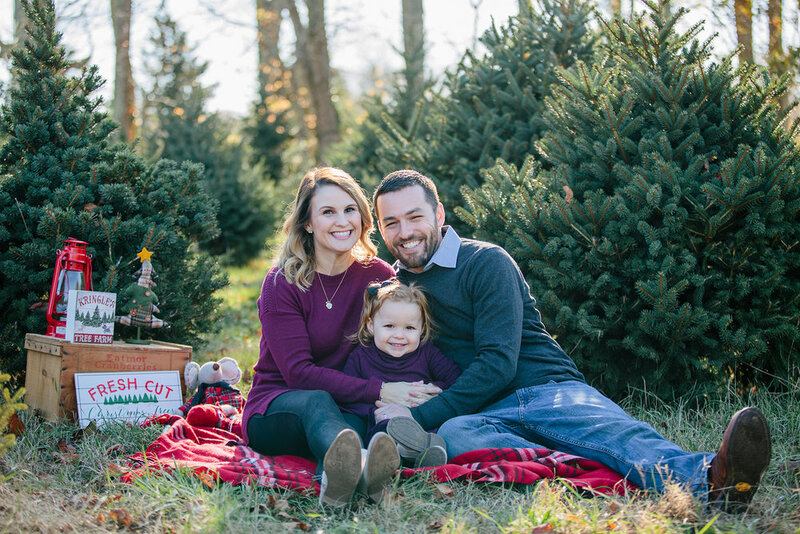 The weather gets colder and colder the closer we get to winter, and I want to be sure that my clients receive their photos in time to send off Christmas cards. And, every once in a while, clients have special reasons to want their photos done early. Like this family! 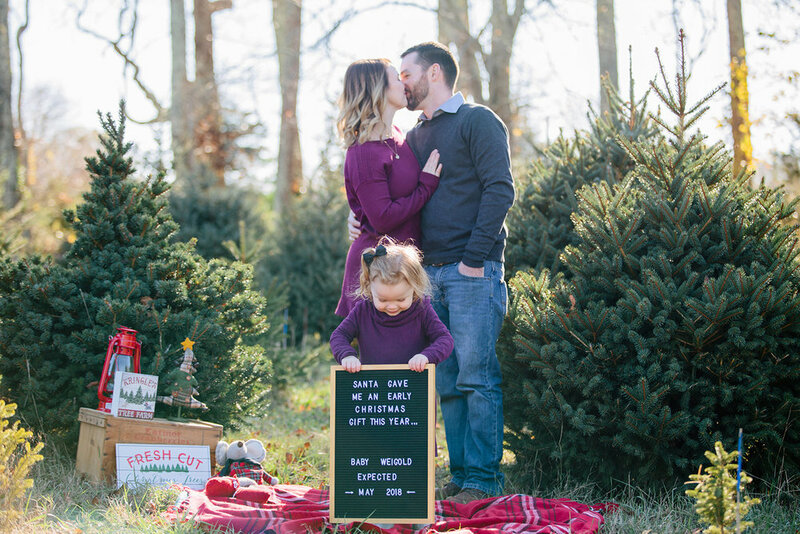 I first met this family last year for their Christmas photos! Mom, Lauren then referred her sister to me, who was married in September and yours truly photographed their big day! I've gotten to know this family so I was excited to see them back again this year for another round of Christmas photos! 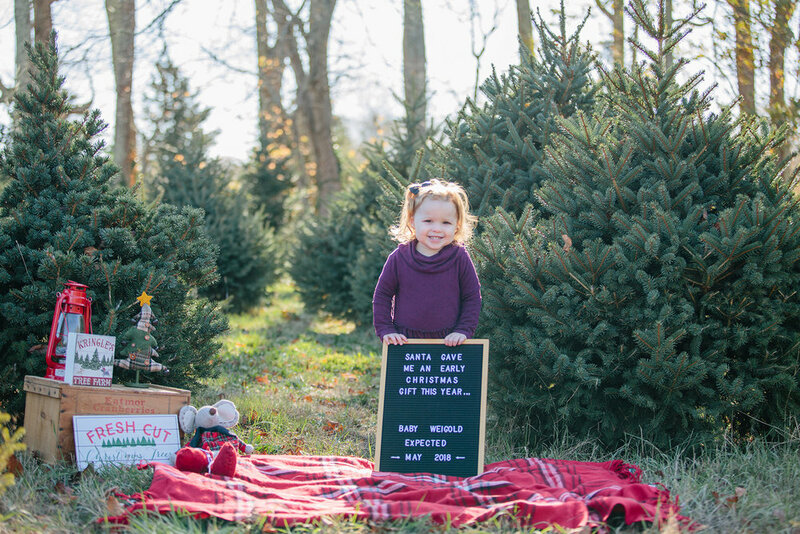 Well, when little Reese walked into the tree farm, she had a little sign and they announced they were expecting! Yay!! Now that this family has also announced this themselves on social media, I'm excited to be able to share their photos here on my blog. 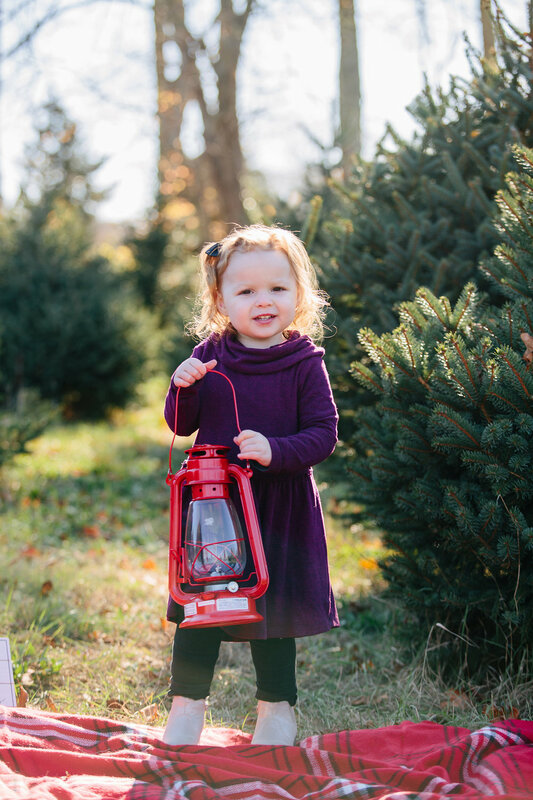 Without further ado, here are some of my favorites from this adorable photo session at the Pine Crest Tree Farm in Westport, MA!